Get the tissues out guys, this one’s a tear-jerker. The last known living service dog who was on the scene at Ground Zero 14 years ago has had the best birthday ever. 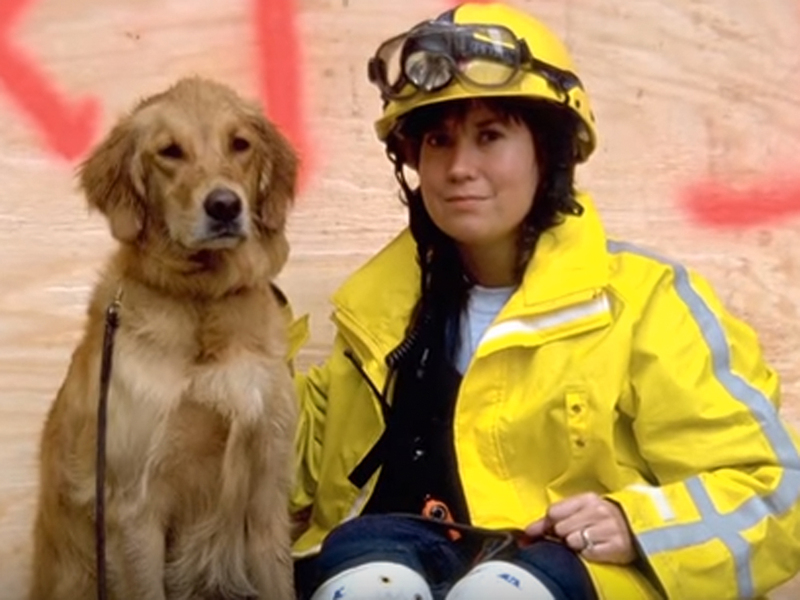 Bretagne, who turned 16 this year, served alongside her handler Denise Corless as a search and rescue dog during the 9/11 terrorist attacks that killed 2977 people in 2001. As a surprise and thank you for her brave work, Bretagne was treated to a Sweet Sixteen party that pretty much outdid any and all other dog festivities we’ve ever seen. The Golden Retriever was flown, with her owner, to New York where they were picked up in a stretch limo and taken to their private suite at an exclusive Manhattan hotel. Bretagne enjoyed a gourmet burger from room service before being taken out for the day in a vintage yellow taxi. On the way to the dog park, the pair stopped to admire Bretagne’s very own billboard in the middle of the Big Apple. After a day of splashing about in the dog park, the pooch came back to a beautiful birthday party complete with more toys than you could shake a stick at. Even a really good fetching stick. ‘Responding to the World Trade Centre was [Denise and Bretagne’s] first deployment. When my task force arrived, I just couldn’t believe the magnitude of it. The perfect day, organised by BarkBox, culminated in Bretagne chowing down on her very own doggy birthday cake as she and Denise were presented with their very own memorial cobblestone on the plaza of the 9/11 memorial to commemorate the part they played to help on that day 14 years ago.